I needed to take a few days off from blogging. I had reached my maximum blogging energy unit usage updating 3 blogs last week. It's been a nice vacation, but now it's time to get back to work. Today I present to you, the Endless Mountains Experience blog. "Hiking, Backpacking, Paddling, Camping, and Exploring Pennsylvania's Endless Mountains...and beyond"
"My motivation to write this blog and write the book “Hiking the Endless Mountains” (http://www.amazon.com/Hiking-Endless-Mountains-Northeastern-Pennsylvania/dp/081170677X/ref=sr_1_1?s=books&ie=UTF8&qid=1320875565&sr=1-1) has been driven by not only a desire to chronicle my travels, but to also show people how special and unique the Endless Mountains are, and that this region needs to be protected. Natural gas drilling and development has begun to spread throughout the Endless Mountains. While these activities can bring great economic opportunities, it can also threaten our environment and natural resouces if not properly managed. I am not against drilling, but I feel there must be a balance. I am very concerned how so much of our public lands have been leased for drilling; this is land held in the public trust for all people. If excessive drilling on public lands is allowed, it will result in the destruction of tens of thousands of acres of forests, habitats, and beautiful natural areas. Our state forests and game lands attract millions of visitors from around the world to enjoy the outdoors (and spend their money in our communities). But who will want to hunt, fish, kayak, backpack, camp, hike, or bike ride among rigs, gas wells, and compressor stations? Who will want to visit parks and forests bulldozed for drilling? We must preserve these special places for not only future generations, but also this one." A great thing about blogs such as Endless Mountains Experience is that you can take a tour of a part of Northeast PA without leaving the comfort of your favorite arm chair. 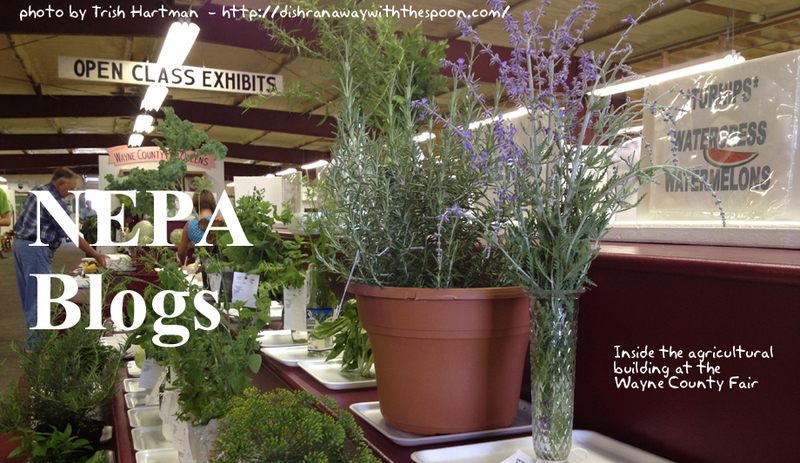 And if you happen to find something that interests you on the blog, you can take a trip to see it in person! The photos in this blog are amazing, and I'm sure do not do justice to the beauty and serenity that Endless Mountains has to offer. Head over to the blog and check it out! 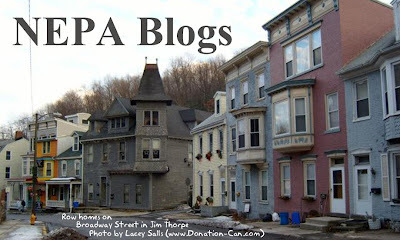 This week's header image was supplied by Lacey Salls of http://donation-can.com/ and shows homes along Broadway Street in Jim Thorpe. 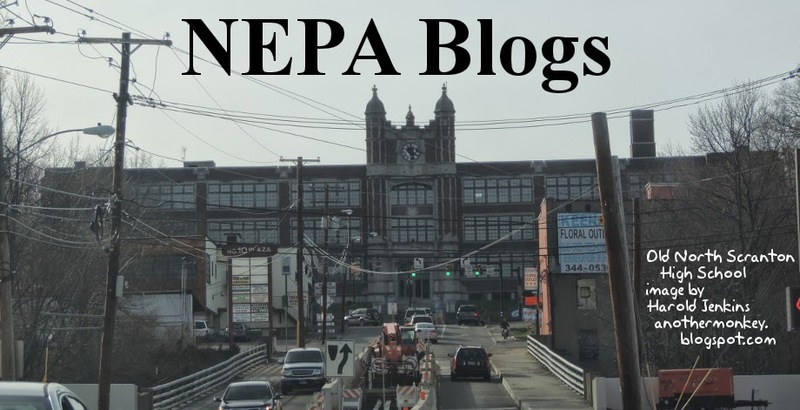 Do you have an image of Northeastern Pennsylvania that you'd like to see featured as the NEPA Blogs header image for a week? Send it to us at nepablogs@gmail.com! First Friday Scranton is a long-running series of interconnected art exhibits, musical performances, and other cultural events, all taking place in Scranton on the first Friday of each month. The First Friday Scranton blog provides the latest news and information about the upcoming celebration - including a map featuring the locations of each performance, and detailed profiles of each participating venue. Periodic updates also spotlight some of the performers and keep readers informed about contests and other special events. If you've ever been to a First Friday Scranton event, you know what fun it is to see the city come alive at night. If you've never been, you should make a point to go - you're never more than a few weeks away from one. 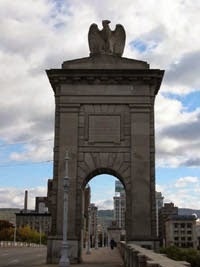 And the First Friday Scranton blog makes an excellent guide! I attended the second Scranton Pecha Kucha night this weekend, hosted by blogger Mandy Boyle and with presentations by ten individuals, including Mandy, NEPA Blogs co-administrator Michelle Davies, and bloggers Brian Fulton, Glenn Burgess, Catherine Shefski, and Cheri Sundra. Among the presenters was someone I recognized from the second Scranton StorySlam, a woman with platinum-blonde hair who had served as Conor McGuigan's on-stage assistant. As the night progressed, I leaned that she was a local artist named Tina Imel. Her presentation was all about her art and the experience of being an artist with roots firmly planted in Northeastern Pennsylvania, yet with a global presence established through online networking. Tina Imel's oil paintings are an amalgamation of classical portraiture, Punch cartoons and medical texts. Her portraits border on the surreal. She often incorporates pieces of someone else's past into her own environment. Her fondness of possessions that have outlived their owners and her traditional style of painting give her introspective and very personal work a connection to history. Tina is an award winning artist whose work has been shown in galleries across the United States and Europe. Her paintings will be published in two upcoming books, including a collection of contemporary female surrealists. Tina also has an extended Internet presence! Over the years I have met many brilliant and creative people who have made a conscious decision to stay in Northeastern Pennsylvania and work to make this area a better place - if only through their continued presences. It's people like Tina Imel who give me hope for the future of NEPA! This week's header photo is one of a set of photos taken by Russell Hryvak during hiking trips throughout Northeastern Pennsylvania. This is a view of the Susquehanna taken from Campbell's Ledge, looking into Pittston. Familiar sights become fresh and new when viewed from a different point of view! Do you have a unique perspective on some aspect of NEPA that might otherwise be overlooked? Send it to us at nepablogs@gmail.com and we'll use it as our header! Our PA Live! 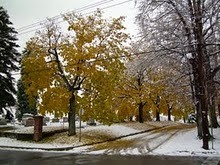 Blog of the Week this week is Bent Pennington's The Roving Photographer (http://therovingphotographer.com/). Brent Pennington is a professional photographer who specializes in portraiture and commercial photography. He even has a blog site dedicated to his professional work. But this isn't that blog. The Roving Photographer is Brent's blog to showcase his personal work, work done for his own enjoyment, focusing on his passions - nature, wildlife, the world around him. Brent's images feature birds, flowers, spiders, turtles, and the play of sunlight through trees. His posts sometimes also cover technical topics relevant to his art, such as reviews of cameras and camera products, tips and tricks, and even ways to recover when you've arrived at a remote location and realized you've forgotten some essential equipment. Northeastern Pennsylvania is home to many talented photographers, and the region presents a wide variety of settings and subjects for photographers. Check out Brent Pennington's The Roving Photographer to see how a skilled photographer can present images of NEPA! This is the forum of To All a Good Write, a freelance-editing business in Wilkes-Barre, Pa. Here, I provide observations, opinions and advice regarding the use of words and grammar in writing, editing and speech. At times light-hearted, at times a bit cynical, this blog’s goals are to simplify the complicated and make an often-dry subject more appealing. I'm a freelance editor with my own business, To All a Good Write, based in Wilkes-Barre, Pa. I provide editing, proofreading and tutoring for businesses, nonprofit organizations, students and authors. Find out more about me and my services at www.toallagoodwrite.com. Anyone can write, but writing well is a skill that takes effort to develop. Check out Mike Liechty's To All a Good Write blog for tips on how to improve your writing! 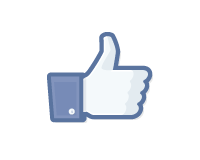 And while you're there, check out the links to Mike's Facebook page, and his business website! *Ahem* Some local bloggers that I know are very reluctant to join Facebook for a number of excuses reasons. To this, I say phooey. One of the ways we find a lot of new bloggers in the area is through our Facebook group. We added four new bloggers to the group this week! I'm going to group two of these new blogs together in today's post because they have something in common....they are movie blogs! Grab your barrel of popcorn, add some butter and salt and prepare for you movie review tour of the NEPA Blogosphere. Rich Drees from Wilkes-Barre brought this blog to our attention. He's the editor and publisher of FilmBuffOnline. Similar to NEPA Blogs, this blog has a number of contributors who write posts (John L Gibbon, Michael McGonigle, Jeff Stolarcyk, and Richard Zeszotarski). The topics include movie reviews, movie history, producer and director info and lots of other goodies that film buffs would enjoy. A post that grabbed my attention in particular was about the history of movie trailers. "No-frills movie reviews in 500 words or less. Because you've got places to be, dammit!" It looks like all of the posts from Cinema Cyclops were retained for the new blog, which is a good thing. Which brings up a point...if you are listed at NEPA Blogs and decide to change your URL, please let us know about it so that we can update the blog roll accordingly. I hope you brought your appetite to this blog post! We have a blog by Jim Babinski called "Onomahuna" which is a visitors guide to lunch in Scranton, PA. Onomahuna means good times, good food, good friends according to the About. Onomahuna promises to be a guide to the best ways to spend your meals wherever you are. Right now, Jim is focusing his efforts on the Scranton area, but has plans to develop the concept further and potentially roll it out to other areas. We can't wait to see where this project will end up next! You can follow Onomahuna and Jim on twitter using the handles @onomahuna or @jimbabinski. I must say that the Colarusso's coal fired pizza pictures are making my tummy rumble! Enjoy! Or shall I say, onomahuna! This week's header image was submitted by Frank Dutton (http://frank-dutton.blogspot.com/) whose blog, Frank's Place, is also our Blog of the Week! Actually, this wasn't so much submitted as I saw Frank post it to Facebook, and immediately knew it would make a great header image, so I dropped him a note. After getting his OK, I went to work on shaping it into a header. It's just an interior shot of a pavilion at Nay Aug Park in Scranton, but the imperfect symmetry of the image, the natural beauty just outside the pavilion's perimeters, and the absence of people all combine to make a picture that is at once sublimely beautiful and full of a sense of loneliness, or at least anticipation, of potential waiting and ready to be actualized. If you have a header that you'd like to submit, please attach it in an email to nepablogs@gmail.com - or at least post it where we might see it and ask you for permission to use it! Our PA Live! Blog of the Week this week is Frank's Place by Frank Dutton (http://frank-dutton.blogspot.com/). Frank Dutton is a local history buff who is also a darned fine photographer. Most of the posts at Frank's Place are built around photos taken in and around Scranton. He photographs landscapes, nature scenes (especially waterfalls,) architecture, trains, and anything else that catches his eye. His blog captures the world of today in its photographs, but often features images from the past as well. It's been said that blogging is the history of now, documenting both the ephemeral and the profound details of the world in which we live today so readers at some later time might form a more complete picture of who we were. Through his photographs, Frank Dutton has turned Frank's Place into a valuable reference tool for tomorrow's historians. Check it out and see if maybe you've been missing something that's still around! Over the years I've read a lot of blogs. Blogs written by teenagers, twenty-somethings, older folks, even the elderly. I've gotten to develop an eye for writing styles and the use of language. I've known people in all these age groups in the bricks-and-mortar world, as well, and I've learned to adapt to the cadences and rhythms of their speech patterns. I've known a lot of writers and actors, too. I know that, as a writer, sometimes authentically recreating the language of the real world paradoxically fails to produce dialogue readers will find believable. Sometimes tropes and stereotypical patterns have to be added in to create a character who meets the expectations of and is instantly recognizable by readers. For an actor, this is even more important: if you fail to convince your audience that you are the character you are playing right out of the gate, you've lost them. In my current job I talk to a lot of people from all over the country. And I do know that some of them speak in a way that seems full of stereotypes and tropes, that seems more like an actor playing a part than an authentic voice. But I accept that they are real. I am a Senior Citizen in her Golden Years who has taken to the wide world web through blogging and chat forums. I am a feminist, a widow, Catholic, and mother of 2 grown children who hate me with a passion. They never call, and I recently began having therapy to deal with all of the lesbians who are in my life at the moment. That's why I'm online with the interwebs, sharing myself on the information super highway from the safety and privacy of my home in beautiful Northeastern Pennsylvania, birthplace of Joe Biden. Please note that I employ noms de plume, thusly altering the spelling and pronounciation of certain persons and locales in order to retain privacy, except when discussing celebrities and public figures, through Christ our Lord, Amen. Her writing is very reminiscent of a character created by a certain writer/poet/actor I know. (Conor M., is that you?) It is also reminiscent of someone else I saw posting a while back in Facebook discussions of the Hotel Sterling, though that person called herself "Bertha." Whatever the case may be, Mrs. Walter J. Katsellas has put a lot of effort into My Wyoming Valley Memoir. Check it out for an amusing take on life in the Wyoming Valley, and life in general! "One fan's take on the rides, shows, attractions, and World of the mouse." Blog author, Neil Trama III, is a lifelong Walt Disney World fan, freelance writer, part time radio personality, and owner of Neil Trama Travel & Tours in Scranton, PA.
"A few years ago I started writing attraction reviews for my personal blog, website, and the Intercot discussion boards. I was never satisfied with the way any of them worked and the way I was able to promote them. At the beginning of this year (editor's note: the post was dated April of 2009) I stopped posting to the website and began exploring Blogger as a possible solution to that problem. "Walt Disney World Traveler" was born of those efforts." You can also follow Neil on Twitter where his username is @neiltrama. This week's New Header Wednesday image was submitted by Trish Hartman at WNEP-TV. She was covering a story about the Wayne County Fair last week and snapped this shot inside of the agricultural building at the Fairgrounds. 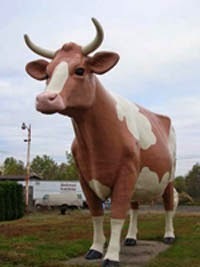 The Wayne County Fair is in its 150th year and it runs through Saturday, August 11, 2012. Tickets are only 8 dollars for admission and includes free parking and free rides. You can't go wrong for that price! For more information please visit http://www.waynecountyfair.com. Thanks again Trish! If you have a header that you'd like to submit, please attach it in an email to nepablogs@gmail.com! Just a reminder....we're on summer vacay. PA Live! 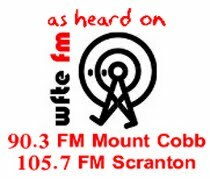 will not be airing on local NBC affiliate WBRE-TV this Tuesday due to coverage of the Olympics. So we're are postponing the two blogs we were planning on highlighting until next week. 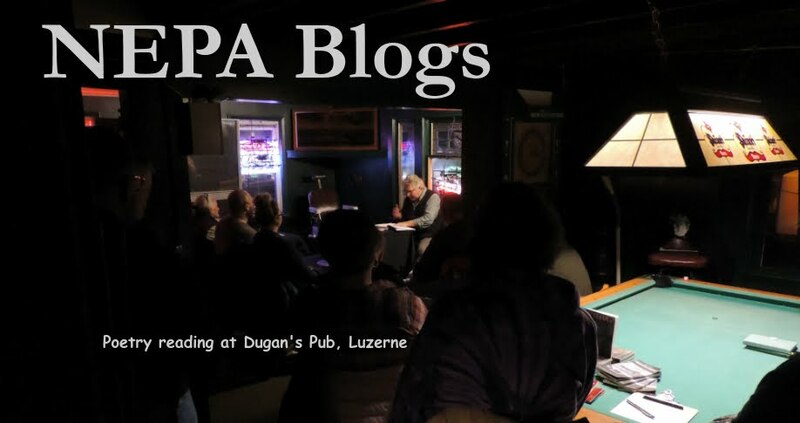 Look for the NEPA Blogs "Blog of the Week" segment to return to PA Live! starting again on August 14. We have some very interesting blogs on the schedule! "The Grinder" promises to be the single most important hockey blog in the world. Since this blog is only 4 posts old, we'll have to see how that plays out for them. 570 Sports Radio is a group blog/podcast that covers all types of sports, more specifically: MMA/UFC, NFL, NCAA Football and Basketball, MLB, NBA and any other newsworthy sports topics that may occur. 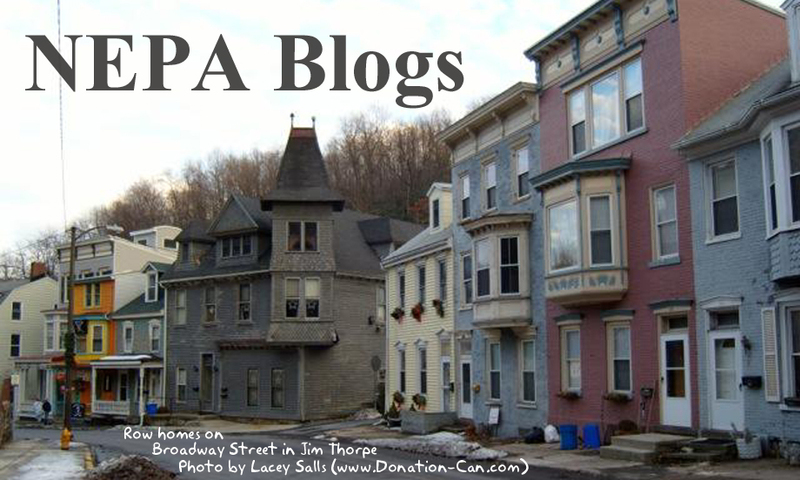 The blog contributors are all locally based right here in Northeast PA! They are: Rich Davies (no relation), Jordan Pohutsky, Paul Glenn and Doug Miller. Jordan and Rich are the original founding members and Paul and Doug are newcomers to the group. Rich tells me that they have been blogging for about a year and a half. I wish we found out about it sooner! There is no about page on the blog, but in recent talks through Twitter direct message with Rich, he tells me that "all of the contributors are very opinionated and they don't try to keep their favorite teams a secret and they aim to keep their fans up-to-date on sports info, locally and around the globe." You can follow 570 Sports Radio on Facebook and under the username of @570sportsradio on Twitter. This week's header was submitted by Stephanie Force of http://itsanorganizedmess.blogspot.com blog. Stephanie emailed us earlier in the week to let us know that she had explored Salt Springs State Park in Montrose on a recent weekend. "I had no idea what I was to find outside the few waterfalls, but what more so caught my attention was a rock full of pennies. (A superstition thought to bring good luck)"
We are passing along this good luck to you and hope you'll do the same by sending us an image that we can use on an upcoming New Header Wednesday. Our email address is nepablogs@gmail.com.